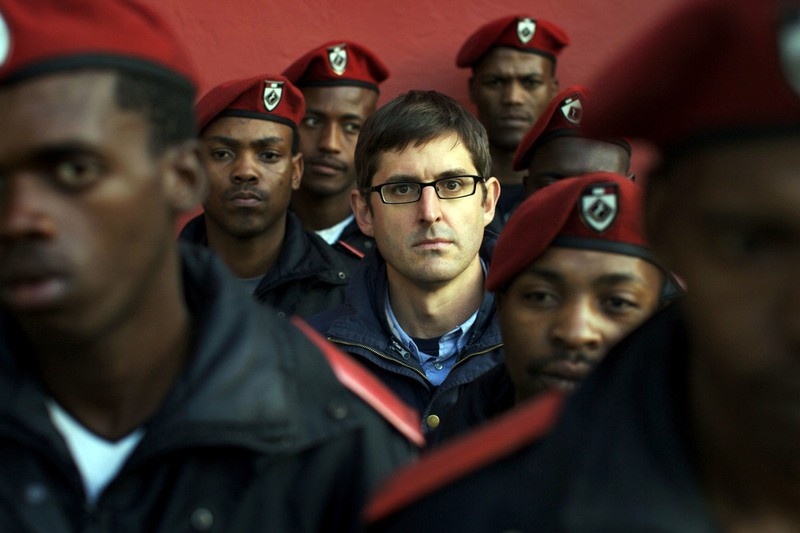 Louis Theroux travels to Johannesburg, where the residents find themselves increasingly besieged by crime. Despairing of the capability of the police and the courts to protect them, many have turned to an industry of private security, offering protection for a price. Are the sometimes brutal methods of these private police really a solution or just another part of the problem? The first stop for Louis is a meeting with William Mayangoni, the local co-ordinator for a security firm known as Mapogo. Based on the outskirts of Diepsloot, one of the squatter camps that ring Johannesburg, William investigates thefts for his mainly white clients. When he catches a suspect, he gives them 'medicine': the alleged offender is beaten with a leather whip known as a sjambok. Although his clients seem to support what they see as 'an African solution to an African problem', William's methods alienate the people of Diepsloot. Finally, their patience snaps dramatically, and William has to call out the real police in order to protect himself from the vicious threat of the mob. In the centre of Johannesburg, a security company called Bad Boyz work in an area called Hillbrow, notorious for its high crime rate. Louis meets company director Hendrik De Klerk who explains that much of their activity involves reclaiming and securing buildings that have been taken over, or hijacked, by criminal gangs who illegally take rent from tenants. Louis watches dramatic evictions unfold, in which the police and security companies are not afraid to use force to kick out the protesting residents.